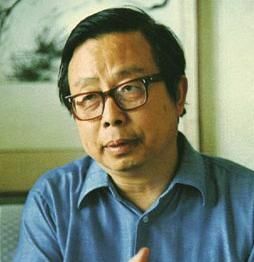 Fang Lizhi (February 12, 1936) was a professor of astrophysics and vice president of the University of Science and Technology of China whose liberal ideas inspired the pro-democracy student movement of 1986-87 and, finally, the Tiananmen Square protests of 1989. Because of the first, he was expelled from the Communist Party of China in January 1987. Fang gained fame and notoriety after his essays were collected and distributed by the Communist Party of China to many of its regional offices, with the directive to its members to criticize the essays. As the story goes, many who read his essays found them to be thought-provoking, and Fang was inadvertently provided a platform for his views. During the Tiananmen Square protests, Fang and his wife, Li Shuxian, were granted asylum at the U.S. embassy in Beijing. They entered the embassy on June 5, 1989 and remained there in hiding until June 25, 1990 when he and his family flew on a U.S. Air Force C-135 transport plane to England. Fang later moved to the United States. In campus speeches Fang, who works as Professor of Physics at the University of Arizona, has spoken on topics such as human rights and democracy as matters of social responsibility. In 1989, he was a recipient of the Robert F. Kennedy Human Rights Award. "AN INTERVIEW WITH THE 'BOURGEOIS LIBERAL' FANG LIZHI; 'Scientific Morality' Meets Political Reality"
FANG LIZHI was a symbol of the new China, a Princeton-trained astrophysicist who inspired students with calls for academic freedom and independent thinking. In early December, when Mr. Fang, a vice president of the University of Science and Technology in Hefei, supported student demands for greater participation in elections, he was lionized as ''China's Sakharov.'' But then came a wave of demonstrations by Chinese students. The Government reacted by blaming Mr. Fang, dismissing him from his post and last week expelling him from the Communist Party on charges of advocating ''bourgeois liberalization,'' the code words for Westernization. There were more ominous signs that the current crackdown in China might turn into a major purge. The National People's Congress, China's nominal legislature, abruptly dismissed the president and vice president of the Academy of Sciences. They had been elected in 1982 by senior scientists, a move hailed at the time as a harbinger of greater democracy. The Government last week also announced the creation of a powerful new agency to control newspapers and magazines. Yesterday, Liu Binyan, a prominent reporter for the People's Daily who had criticized corruption, was expelled from the party. No one expects a return to the violent repression of the Cultural Revolution in the 1960's. But Merle Goldman, a Boston University professor of Chinese history, suggested worrisome parallels to the Anti-Rightist Campaign of 1957, in which hundreds of thousands of intellectuals were shipped off to labor camps. The campaign followed Mao Zedong's call to ''let a hundred flowers bloom,'' inviting criticism of the party. This month's crackdown came after a similar invitation by Hu Yaobang, who was ousted as the party General Secretary nine days ago. Mr. Hu had been expected to succeed Deng Xiaoping. Moreover, the man who directed the 1950's campaign, Peng Zhen, is now head of the National People's Congress. ''The problem in China is that once you start one of these campaigns, they are very hard to stop,'' Mr. Goldman said. A number of new appointments are going to a group of officials who were trained in the Soviet Union in the 1950's before Mao's break with Moscow. Among them are the new head of the Academy of Sciences and Li Peng, the most likely candidate to take over from Zhao Ziyang as Prime Minister. Mr. Zhao replaced Mr. Hu as head of the party and it is considered unlikely that he can hold on to both posts. In December, before he was ousted, Fang Lizhi gave an unusually candid interview to a Chinese reporter, expressing views that he said grow out of his scientific training and experience with Western thinkers. Following are excerpts from the interview, which was reprinted in the Beijing Review, China's English-language weekly. In the first question, Mr. Fang was asked to discuss the role of scientists in modern society. Mr. Fang. Scientists must express their feelings about anything in society, especially if unreasonable, wrong and evil things emerge. If they do otherwise, they will be considered accomplices - those are Einstein's words. . . . If you have an opportunity to attend an international physics conference, you will discover that although physics is discussed in the conference hall, outside - when you are drinking coffee, for example - the final topic you discuss will definitely be social problems, and the discussion will often be focused on the unreasonable aspects of the West or the East. I think this has become a tradition among physicists, and perhaps it can be traced back to Galileo and Copernicus. . . . Question. Indeed, look at the dynamic role played by the physics department of Beijing University in modern China's ideological movement. Mr. Fang. Since physicists pursue the unity, harmony and perfection of nature, how can they logically tolerate unreason, discordance and evil? Physicists' methods of pursuing truth make them extremely sensitive, while their courage in seeking it enables them to accomplish something. All this is not accidental. In the first place, science and technology in our modern society occupy a very important position: Major social problems are often unclear to those without a scientific background. In the second place, many natural scientists are aware that their role is by no means limited to technology alone, but that they should consider themselves responsible to the entire society. The problem of scientific morality is often discussed among natural scientists. In our country, scientific morality refers only to plagiarism in the academic field. This, in fact, is quite a narrow concept. The sort of scientific morality being discussed elsewhere is that when you have knowledge you should hold yourself responsible to mankind. This includes keeping alert to possible crises and giving warnings. Q. . . . Can it be said that intellectuals no longer belong to or depend on any particular class? However, in modern society the development of science and technology, knowledge and information, including high-tech and soft science, have become an important force propelling society forward, and are bound to involve a change in the concept of who leads in the political and economic fields. Intellectuals, who own and create information and knowledge, are the most dynamic component of the productive forces. Q. . . . What characteristics should the advanced class have? A. The current buzzword is intellectual ideology. Generally speaking, people who have internalized the elements of civilization and possess knowledge, have hearts which are relatively noble, their mode of thought is invariably scientific, and they therefore have a high sense of social responsibility or even self-sacrifice. They also have grievances and may be discontent. Their point of departure is not their personal interests, but social progress. Of course, this is directly related to education, to training. Chinese educational methods have so far remained closed and not modern; they give not education but only training. If people with knowledge are needed only for technical progress, and if intellectuals are not expected to have original ideas and contributions to make in other fields, including social and political fields, then education will remain a master-apprentice affair. Einstein said that the aim of education is to develop people with a harmonious character, capable of engaging in independent thinking. Q. As a professor and vice president of a university, what do you think about how higher education should change? A. Today, where knowledge and information occupy an important place, a university plays a multifaceted role. It is both an ideological storehouse and an interface for various branches of learning, for different schools of thought, for domestic and international affairs for research and teaching and for old and new. The emergence and development of new theories necessitate creating an atmosphere of democracy and freedom in the university, an atmosphere promoting the cultivation of intellectual ideology. In the university environment, there should be nothing that can only be upheld and that allows no questioning of why it must be upheld. There should be no doctrine that can hold a leading or guiding position in an a priori way.